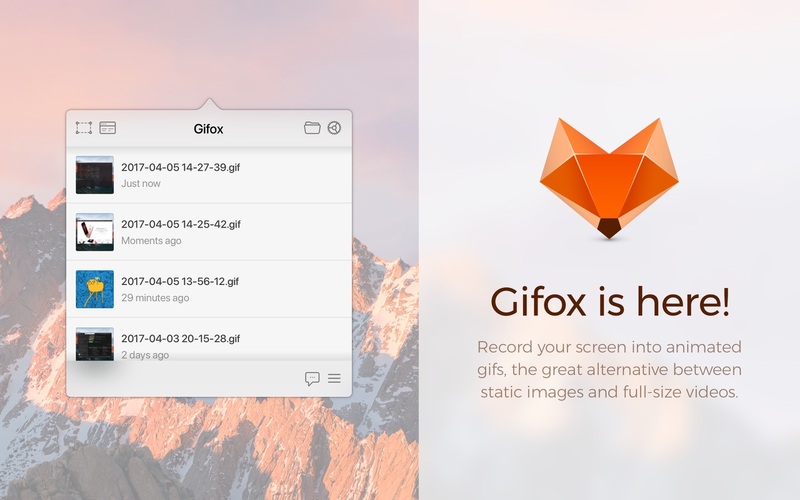 Gifox 1.5.1 – Record your screen as an animated GIF. Most importantly… New! Red! Record! Button! Just like it should have been from the start! New selection aspect ratio control can automatically restore previous selection when selector gets open in area mode. Existing selection is preserved when switching from window to area mode. New shortcuts for moving and resizing selection, stopping recording and more! Check them out and adjust in preferences. Smoother and more stable selection experience with better anchor points and cursor handling. See if you feel the difference! Selection toolset is now available for window selection mode too! Yes! Smarter toolset alignment when it gets too close to screen edges or crosses them. Handsome app is already running message will appear when opening multiple Gifox instances. Improved preferences layout and animations. Selection origin displayed upside down y-coordinate. Extreme CPU usage when cancelling recording with all frame palette compression. Recorded GIFs appear badly garbled when using downscaling with palette for every frame compression. Marching ants selection is now correctly displayed across multiple screens. Crash when viewing quick help in selection toolset and preferences in OS X El Capitan. Next story Image Cleaner 1.1.1 – Remove duplicate images. Previous story iFunia Video Converter 5.10 – A totally free video converter. AnyVideo2Gif 2.0.0 – Convert video to gif. batchGIF 1.90 – Generate GIF. Video to GIF Maker 1.0.27 – Convert video to GIF.